Ola Uduku, took up a Chair in Architecture at the Manchester School of Architecture in September 2017. Prior to this she was Reader in Architecture, and Dean International for Africa, at Edinburgh University. Her research specialisms are in Architectural Modernism in West Africa, the history of educational architecture in Africa, and the contemporary issues related to social infrastructure provision for minority communities in cities in the ‘West’ and ‘South’. She has published in the areas of African Architecture, Urbanism and Diaspora Studies, Notable amongst these publications are: Social Infrastructure in Granby Toxteth, Uduku and Ben-Tovim (1997) Africa Beyond the Post-Colonial, Uduku and Zack-Williams, (2004) Gated Communities: Social Sustainability in Contemporary and Historical Gated Developments, Bagaeen and Uduku, (2010) and Beyond Gated Communites; (Bagaeen and Uduku 2015) She has recently published her monograph Learning Spaces in Africa: Critical Histories, 21st Century Challenges and Change, (Uduku, June 2018). At Edinburgh she created and was Director of the MSc Programme in Urban Strategies and Development, jointly run with Heriot Watt University. 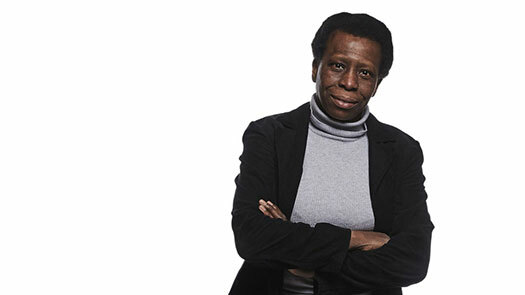 She is now Honorary Fellow in African Studies and contributes as a guest professor to the international Conservation Studies programme run at the School of Architecture. She also remains involved in developing tools for Environmental Design teaching and research. EdenApp with a joint research team from Edinburgh and Heriot Watt Universities. This links with her other research interest in passive cooling and thermal comfort for buildings in the tropics. She also was involved in working with students on outreach studio projects, including the African Schools IT Classroom and the Preston School Playground projects. She was a founding member of ArchiAfrika, now located in Ghana, which is committed to improving architectural education and the knowledge of contemporary architectural history in Africa. She also plays an active role in promoting the Documentation and recording of Modernist Buildings and Landscapes, (Docomomo) in Africa, and is acting secretary for the Docomomo Group in Ghana. She has recently conducted a British Academy-ASAUK (African Studies Association of the United Kingdom) collaborative writing workshop project in Ghana and has set up the WARUH network (West African Rapid Urbanisation and Heritage Conservation research network) involving universities in Ghana, Togo, Nigeria and the NW of England. She has currently been voted Vice President of ASAUK. This event will be preceded by a wine reception at 5.30pm. The lecture will start at 6pm. Free tickets available on Eventbrite. Part of the Inaugural Lectures Series, which provide an opportunity for our most prolific and successful researchers to update us on their current projects and future research plans, and to share their research insights with the wider public. All lectures are free and open to all.